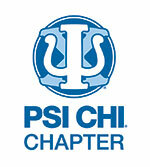 The University of Victoria Chapter of Psi Chi is the first chapter of Psi Chi in Canada, as well as the first non-US chapter of Psi Chi to exist. Psi Chi is the International Honour Society in Psychology, founded in 1929 for the purposes of encouraging, stimulating, and maintaining excellence in scholarship, and advancing the science of psychology. Membership is open to undergraduate and graduate students of psychology who meet the GPA qualifications. Psi Chi is a member of the Association of College Honour Societies and is an affiliate of the American Psychological Association (APA) and the American Psychological Society (APS). Psi Chi's sister honour society is Psi Beta, the national honour society in psychology for community and junior colleges. "The organization also functions as a federation of chapters located at over 1,000 senior colleges and universities in the USA and Canada. The National Office is located in Chattanooga, Tennessee. A National Council, composed of psychologists who are Psi Chi members and have been elected by their chapters, guides the affairs of the organization and sets policies with the approval of the chapters. The purpose of creating this kind of society serves two major goals: One immediate and visibly rewarding to the individual member, the other slower and more difficult to accomplish, but offering greater rewards in the long run. The first of these is the Society's obligation to provide academic recognition to its inductees by the mere fact of membership. The second goal is the obligation of each of the Society's local chapters to nurture the spark of that accomplishment by offering a climate congenial to its creative development. For example, the chapters make active attempts to nourish and stimulate professional growth through programs designed to augment and enhance the regular curriculum and to provide practical experience and fellowship through affiliation with the chapter. At UVic, these have included TAUGHT talks, Connecting to Community Health workshops, Honours and Grad School Info Sessions, and other academic, community outreach, and career preparation events. In addition, the national organization provides programs to help achieve these goals, including national and regional conventions held annually in conjunction with the psychological associations, research award competitions, and certificate recognition programs. The Society publishes a quarterly magazine, Eye on Psi Chi, which helps to unite the members, inform them and recognize their contributions and accomplishments. The quarterly Psi Chi Journal of Undergraduate Research, fosters and rewards the scholarly efforts of undergraduate psychology students and provides a valuable learning experience by introducing them to the publishing and review process. Psi Chi Execs judged the Psychology Division of the VIRSF May 10th. Threee awards were given out for the projects that displayed above expected level of research design, clear understanding and presentation of research, and a creative/ novel or applicable design. Several Psi Chi members are working with CPG to provide harm reduction and first aid services throughout the year. Many thanks to the organizers of CPG for this opportunity to learn hands on skills and gain invaluable field experience!